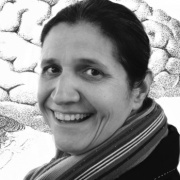 Mary Stergiou-Kita, Department of Occupational Science and Occupational Therapy, University of Toronto, and her colleagues have published an interesting review of qualitative studies of cancer survivors’ experiences and the development of strategies to facilitate return to work in the Journal of Cancer Survivorship. The journal has a 2013 impact factor of 3.2927. The authors conducted a systematic search of five databases to identify relevant qualitative studies published between January 2000 and July 2013. In total, 39 studies met their inclusion and quality criteria. The synthesis of these studies is reported to have demonstrated that cancer diagnosis and treatment represent a major change in individuals’ lives and often result in them having to leave full-time work while undergoing treatment or participating in rehabilitation. Many survivors wanted to return to some form of gainful or paid employment. However, there was also evidence that the meaning of paid employment could change following cancer. Return to work was found to be a continuous process that involved planning and decision-making with respect to work readiness and symptom management throughout the process. Nine key factors were identified as relevant to work success. These include four related to the person (i.e., symptoms, work abilities, coping, motivation), three related to environmental supports (i.e., family, workplace, professionals), and two related to the occupation (i.e., type of work/demands, job flexibility). Finally, issues related to disclosure of one’s cancer status and cancer-related impairments were also found to be relevant to survivors’ return to work experiences. 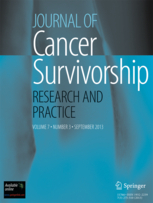 The authors concluded that cancer survivors need integrated support from health and vocational professionals (e.g., assistance with defining work goals, determining work readiness, determining how symptoms may impact work performance, suggesting workplace supports, and accommodations) to maintain and return to work after cancer diagnosis and treatment. These supports need to be provided throughout the recovery and rehabilitation process. These findings reported in this review paper are important and resonate with those emerging from the (empirical) SCOT-PAIS project being conducted through The METIS Collaboration by Sara MacLennan, Sarah Murdoch and Tom Cox funded by Macmillan Cancer Support in Scotland. Stergiou-Kita, M., Grigorovich, A., Tseung, V., Milosevic, E., Hebert, D., Phan, S., and Jones, J. (2014) Qualitative meta-synthesis of survivors’ work experiences and the development of strategies to facilitate return to work. Journal of Cancer Survivorship, 8, 657-670. This entry was posted in Uncategorized and tagged Cancer survivorship and work, Journal of Cancer Survivorship, Macmillan Cancer Support, Mary Stergiou-Kita, Qualitative meta-synthesis, Return to work, SCOT-PAIS, Strategies to facilitate return to work, The METIS Collaboration, University of Toronto. Bookmark the permalink.